Our hotel the Mercure Blankenberge Station is perfect for a trip to Blankenberge. The hotel is located in the City Centre, which makes shops, restaurants and the beach easily accessible by foot. Make sure to visit our heated rooftop swimming pool. Modern hotel with comfortable and stylish rooms, located near Blankenberge train station. Minibar, safe, flatscreen TV, telephone, tea and coffee making facilities and AC in all of the rooms. Privilege rooms with luxury amenities, docking station, Espresso machine. Meet up with friends, family or colleagues in our lounge bar to explore our wine menu. 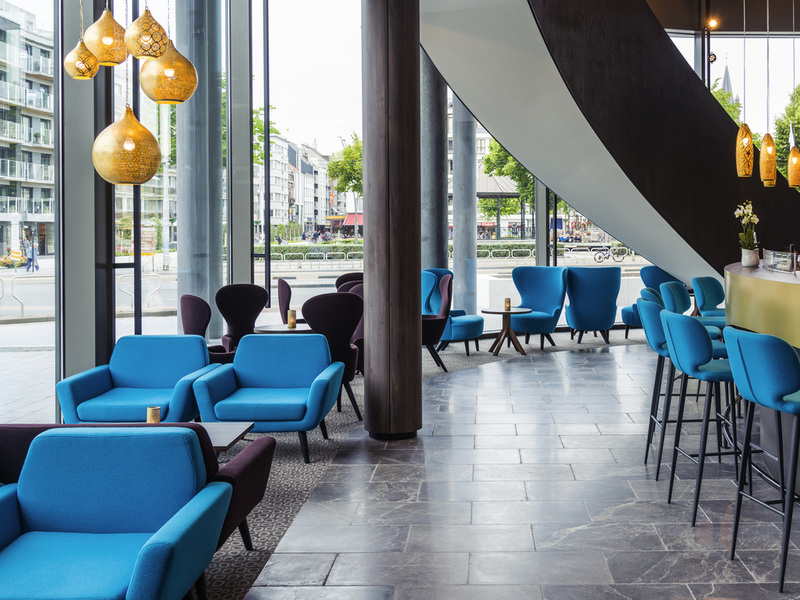 Mercure Blankenberge is the place to meet; to enjoy a holiday at the beach or at the heated rooftop pool. Private car park available next to the hotel. THE BAR is a cosy place to meet up for drinks and snacks. Swimming pool (located on the roof of the hotel) is open from April to September according to the weather. Open from 9:30 am to 6:30 pm according to availability. Choose a room that suits your needs: Superior Room, Privilege Room or a Family Room. All rooms are modern and welcoming to ensure you a pleasant stay. THE BAR is the place to meet up with colleagues, friends or family. Enjoy a drink or snack in a cosy atmosphere, with a superb view on the square and its restaurants. Ask our staff for our fine Mercure wine selection.